Indiana Jones, Eat Your Heart Out! Homepage » Ships Blog » Dr. Bens Blog » Indiana Jones, Eat Your Heart Out! Yesterday we returned from our first vacation in almost two years…the first time we have been truly out of contact (although we did have Sky’s blackberry) and doing something that was just for us. Sky, Noah, me, and Dan from ‘Satisfaction Plus’ (our neighbor and erstwhile Floating Doctors cameraman), took the ferry from Roatan to La Ceiba on the mainland. 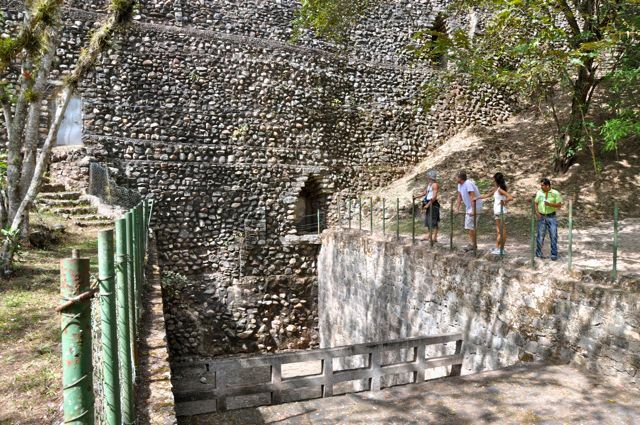 We planned to go to Copan, about 400km inland up in the mountains and site of the famous Mayan ruins. 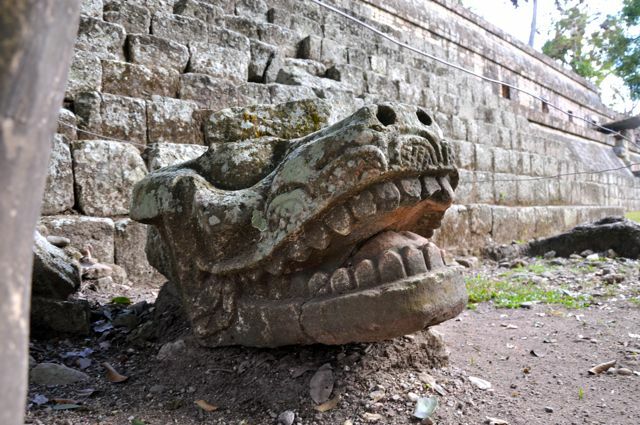 exotic ruins from ancient civilizations hidden in the dense jungle, then Copan is exactly as advertised. 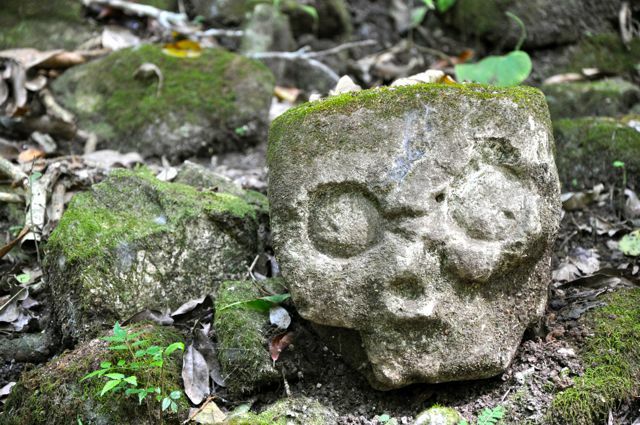 Skulls, grinning jaws, imposing birds and leering faces carved everywhere…tunnels dug by archeologists showing the temples buried beneath the pyramids…dead kings looking down onto the stone altar where human sacrifice was carried out, and the court where slaves played deadly ball games in which the losers were sacrificed at the end. We sat in the king’s seat at the top of the pyramid and strolled through the ‘Mayan Discotheque’ where the royal family and nobles of the court celebrated. It was everything you ever imagined…totally and completely AWESOME. 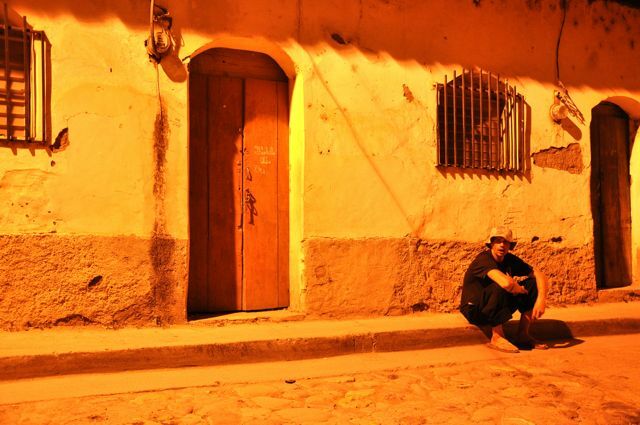 The town of Copan was a beautiful little mountain town set in the geologically tortured hills along the Honduran/Guatemalan border…cobbled streets, red tile roofs. It was cool, without mosquitoes, and REALLY inexpensive. We were only there for two full days, but I could’ve stayed for a couple of weeks. Everywhere you walk in the jungle, mounds of collapsed jungle-covered rubble betray the site of yet another Mayan ruin not yet investigated (they have only found 5 of the tombs of the 16 Mayan kings of Copan). Oh Yeah...now THAT'S a Hot Spring! hour and a half in a big pickup truck) through the narrow valleys of the mountains. We stopped at the Luna Jaguar thermal hot springs…I don’t know if I’ll ever be able to go in another hot spring without sneering in contempt…the most amazing hot springs ever. My name is Ozymandias, King of Kings...Look on my works, ye mighty, and despair! A dozen or so rock pools on a steep, jungle covered hillside along a narrow fault through the mountains…boiling, sulfurous water at 176 degrees pouring from the rocks and into the rock pools and sending clouds of steam up through the jungle canopy. 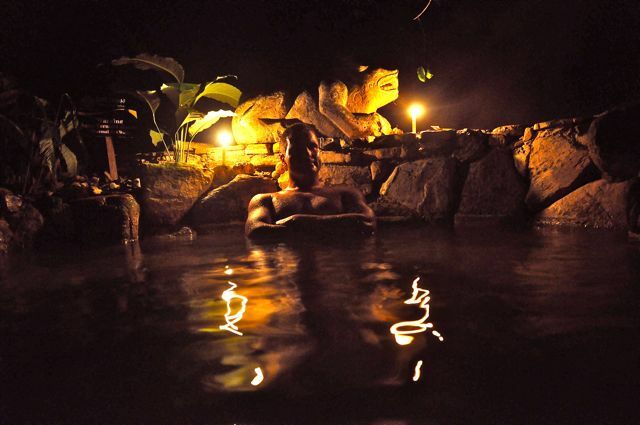 We lingered among the pools for hours, until after nightfall when candles were set out, then finally we tore ourselves away and drove back through the jungle night to Copan; leaving in the morning for San Pedro Sula to pick up Holly at the airport. Holly is our new volunteer and is a Tropical Medicine and Emergency Room Medicine specialist from Liverpool. Holly will be onboard three months, and her timing could not be better since we are headed to Haiti. We got back last night and worked on the boat all day today; Ed is coming back tomorrow, Captain Randy is just back, and we have TONS of preparations to make before leaving. to see about coming. This is turning into a big collaboration between us, Partners in Health, the Cap Haitian Health Network, SIFAT (water purification systems), Direct Relief International—I’m excited to go back. When we left for Haiti the first time, the essential systems on the boat were done but we have continued to modify and rebuild ‘Southern Wind’ a little at a time ever since we first left the dock, and this time we will be even more well-equipped than our first trip. We will be working along an area of over thirty miles of coastline, so we will have to be mobile and adaptable…and that’s what we designed our project to do. This time we may well have our team split up and working in several locations at once, so this is going to be a real challenge. Plus, we also have a lot of patients still to see here on Roatan while we prepare for Haiti…going to be a CRAZY couple of weeks, but the countdown to Haiti starts today!